Our heavy weight USA duck canvas chinos have been one of our longest running styles, so we jumped at the chance to offer this style in totally new colors. There is something unique about the combination ruggedness from the big weight and our refined chino cut. It strikes a rare balance that we love. 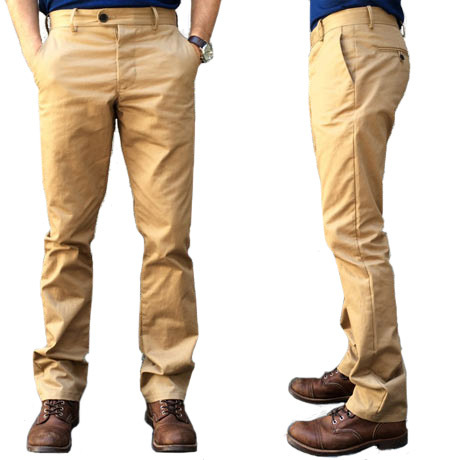 Putting these chinos on, you instantly feel the heft and sturdiness this all-American duck canvas delivers. There is a density to it that you don't often find. 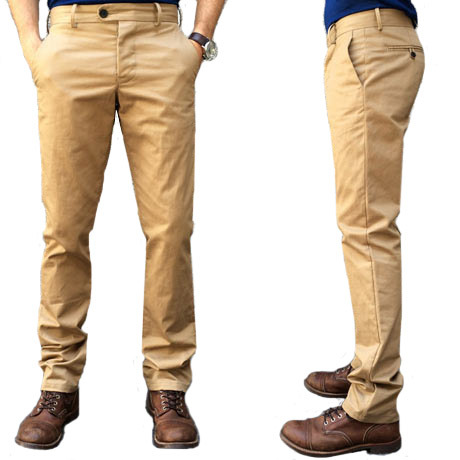 You know these will be chinos you can wear hard for years. The refined shape and details present a nice contrasting formality. This version is what we call Antique Brown: the perfect, softly aged, woody brown shade. It's as if you've worn these chinos for years and they have just gotten better with each wear.